(TriceEdneyWire.com) - Amazingly, Black folks in this country still don’t get it. After all we have been through and after everything we have accomplished, prior to and after integration, our relative collective economic position in America has changed very little. In some cases we have digressed in terms of ownership of land, from some 20 million acres of land (31,000 square miles) in 1910; and in our ownership of banks, of which 128 were founded between 1888 and 1934 and 64 Black owned banks existed in 1912. As for other necessities like supermarkets, manufacturing concerns, and distribution networks, we are not even on the economic radar screen. In light of the latest financial news reports that predict yet another recession just around the corner, and the financial “cliff” from which we will soon fall, as reported on CNN’s, Your Money, one would think Black folks are busy getting our economic act together, our history of business ownership and mutual support notwithstanding. Sad to say, we are still floundering, enamored by the trappings of the “good life” and living vicariously through reality television shows and the shallow personalities thereon. Instead of working on our own economy we seem to be more interested in the economies of others, like the Kardashians who make about 30 million per year, not counting Lamar Odom’s contribution. We just love to check in on those “wives” of wherever and listen to their vulgarity and watch their extravagance. We can’t seem to get enough of the gossip shows and things that will take us nowhere while making others quite wealthy. Bob Law once said, “Black folks are just happy because Oprah is rich,” as he pointed out how ridiculous we have gotten when it comes to our own collective economic empowerment. He also chided us for just wanting to see a Black man in the White House – that’s all, just to know he is there. Most of the people we follow and nearly worship are multi-millionaires and couldn’t care less about us. They wouldn’t give most of us the time of day if we saw them on the street. Yet we idolize and follow them in all that they do, as we slip further and further behind in building (or should I say rebuilding) our collective economic base. What can we do now? For starters we can look into a mirror and admit how we have played a role in our own economic demise; and then ask, “What can I do to contribute to our collective economic uplift?” Establish or get involved in a local effort to empower Black people, whether through education, politics, economics, or all three. You have to take action. Remember when the lady on the school bus was harassed by students, and a couple of days later more than $660,000 was raised for her through Facebook? That’s how easy it is for us to do something collectively to help ourselves, yet we fail to take advantage of models that have been and could be implemented to help ourselves. There was, and could be again, the Blackonomics Million Dollar Club that sent money to 20 Black institutions; we tried to get just 200,000 people to send $5.00 each to a designated charitable entity, but at its height there were no more than 1,000 participants involved. We have the Collective Empowerment Group (formerly Collective Banking Group) that should have a chapter in every major city across this country, but some heads of churches are too egotistical and individualistic to get involved. We had the 10-10-50 Movement, the Nationalist Black Leadership Coalition, the Bring Back Black Movement, and even a Black owned and operated distribution network, The MATAH. Of course there have been many more opportunities that we have squandered for lack of involvement. Now we have the Unity Movement (myunitymovement.com), which is calling for 2 million people to simply sign up on its website in an effort to capture a critical mass of folks to begin a collective effort to inform and educate, and to start, support, and grow Black businesses. Will you at least do that? Please, let’s reverse our economic dysfunction and help create a meaningful, pragmatic, and sustained economic movement. Don’t you think our children deserve that as a legacy from us? 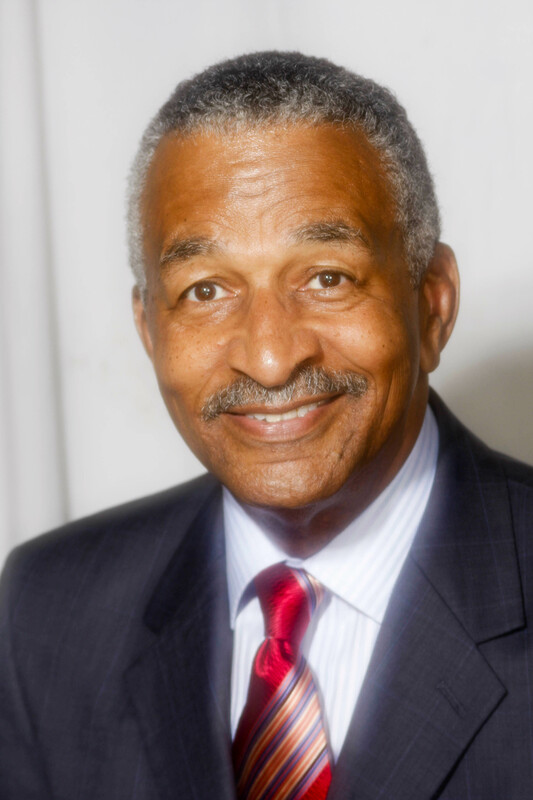 James E. Clingman, an adjunct professor at the University of Cincinnati's African American Studies department, is former editor of the Cincinnati Herald newspaper and founder of the Greater Cincinnati African American Chamber of Commerce. He hosts the cable television program, ''Blackonomics,'' and has written several books, including his latest, Black Empowerment with an Attitude - You got a problem with that? To book Clingman for a speaking engagement or purchase his books, call 513 489 4132 or go to his Website, www.blackonomics.com.